dispense at up to 106" (269 cm) high. Model 520-115 shown. dispense at up to 60" (152 cm) high. 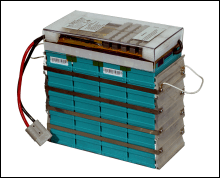 Model 510-110 shown. 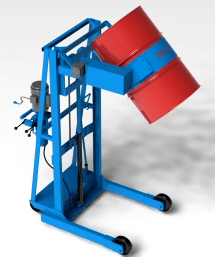 Vertical-Lift Drum Pourers make it simple to raise and pour a heavy drum. 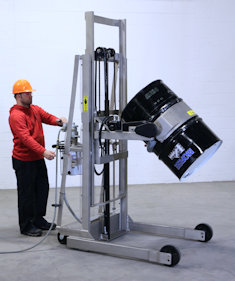 You control the drum pouring angle and height while you dispense. 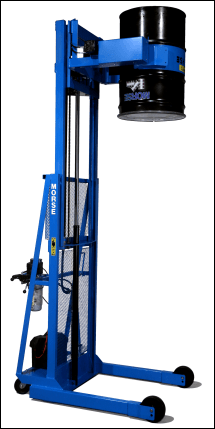 The compact base and quality components of this Vertical-Lift drum handler make it easy to maneuver. Pour your drum with a drum faucet or drum cone in place. 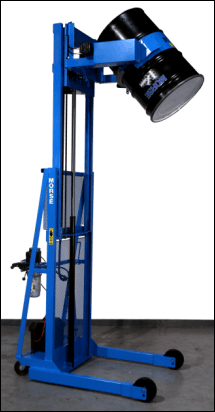 Vertical-Lift Drum Pourers. 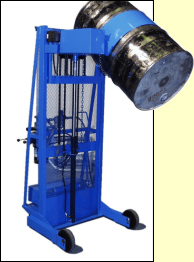 Drum lifter on wheels designed to weigh drum while pouring at up to 106" high. More than just a drum dumper. . . they provide controlled drum dispensing.